Its been a long time since one blogged… So a big Hi first, how have you been, and a Very Happy Maattu Pongal to all! I was listening to an old recording of Swami Akhandananda’s discourses… (He was a great sage of Brindavan… A rare combination of a shrotriya [master of Veda-Shastra] and a Brahmanishtta [a Self-Realized Sage])…. Swamiji mentioned an interesting point about Dharma… He said that Dharma gives one a certain latitude to non-conform as well. For eg, take the festival of Holi. It is well known that on that day many people indulge in Bhaang and other herbal-highs… On the day of Holi, such indulgence has been permitted in tradition… On days other than Holi, it is not. It is not even legal, one presumes. Supreme Court wouldn’t hear of it I am sure. But on that one day, the law just looks the other way – and perhaps winks. Or take Diwali (Deepavali)… On Diwali night, many people offer Lakshmi Puja by gambling the whole night! That is the tradition… On other days, the same people would (mostly) refrain from gambling…. Ok now… Take a deep breath… This whole brouhaha about Jallikattu. “Mattu Pongal – In Tamil Nadu Makara Sankranthi is celebrated as Pongal. The day following Pongal festival is known as Mattu Pongal. The day of Mattu Pongal is dedicated for livestock worship. People in rural areas worship cows and bulls and decorate them with different colored items. Today is Maattu Pongal. Happy Maattu Pongal! On this day, cows everywhere in Tamil Nadu, are celebrated. Here is a picture of Ramana Maharshi with a new born calf. Why create a ruckus over it? I wanted to share a more general view on Law – from ancient tradition.. And this has nothing to do with Jallikattu specifically. I have an interest in Indian epics. Rama asks Bharata: Do you keep under your surveillance, employing in each case three spies, each unknown to the other and to the rest of the world, the activities of 18 important authorities of other countries and the fifteen of your own? Now, one of the 18 authorities that Rama is alluding to is one called as “prAdvivAka” – an official of justice. Now, the fundamental attribute of a person holding the office of prAdvivAka is that he should be a scholar of Dharma Shastra, and a thorough knower of prathA (tradition). So… In our traditional concept of prAdvivAka administering justice, local tradition, custom, practice is extremely important to be understood when viewing what is right or wrong. And our Ancient system of justice provided for it. And please note, Bhushana’s definition mentioned earlier – “He puts his questions in a pleasing manner, and so he is known as prAdvivAka”… Will the learned courts take note! 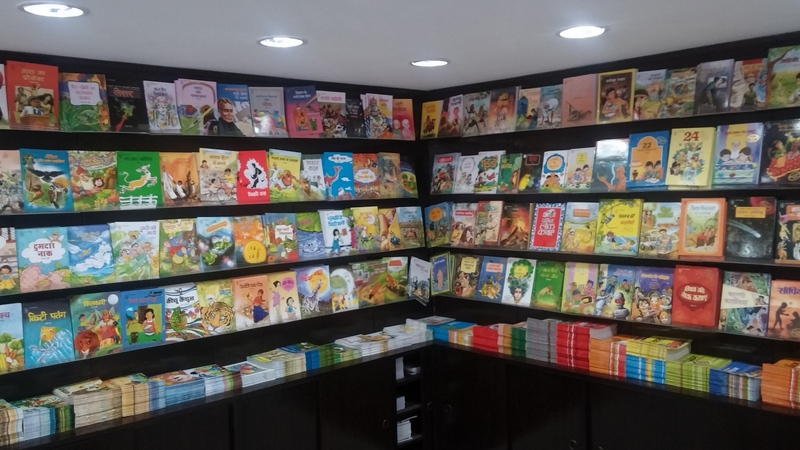 Welcome to my childhood world of books! . An elderly librarian waved us in…. 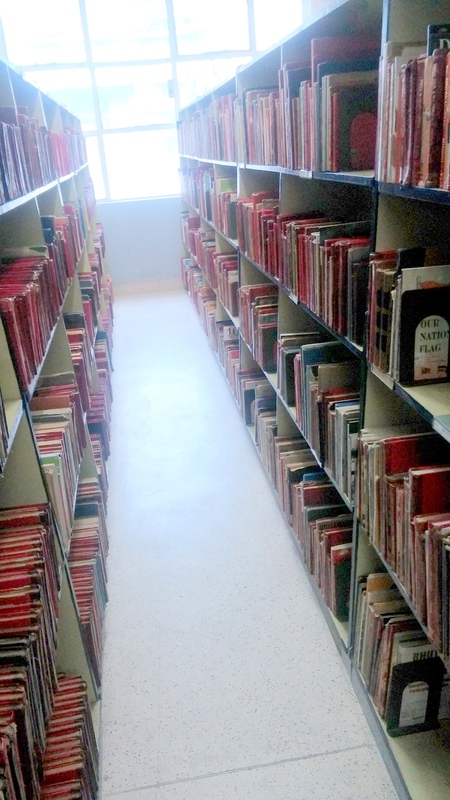 The layout was more or less the same… The shelves of books had were in the same places. The walls were lined up with children’s paintings. The low tables and chairs were still there… Stamps from around the world were showcased in glass…. Lets pause a moment… Who was this BC Roy after whom this library is named? Many of us would have seen greetings of “Happy Doctors Day’ on 1st of July…. That day is celebrated in honor of Dr BC Roy. He was born on July 1 1882 and he died on July 1 1962. About him, here’s an excerpt from The Hundu, in article tiled “A Doctor Par Excellence’ – “Dr. B.C. Roy was one of the foremost national leaders of the 20th century. A legendary physician, distinguished political leader, philanthropist, educationist and social worker, he was one of the longest serving Chief Ministers and is rightly hailed as the Maker of Modern West Bengal.”.. A look at his Wikipedia entry will tell us how great a man he was. He was awarded Bharat Ratna too, and he was one who deserved that and more. For me, as for thousands and thousands of children across the world, Shankar was someone from Devaloka, Our house (with many children) subscribed to ‘Children’s World’ magazine that he brought out. All of us brothers (four) have written poems and stuff, in the magazine. I have participated in the annual Shankar’s On the Spot Painting Competition, which was held in Delhi, sometime around February (I think). The competition, which commenced sometime in early 1950s and is on till this day. 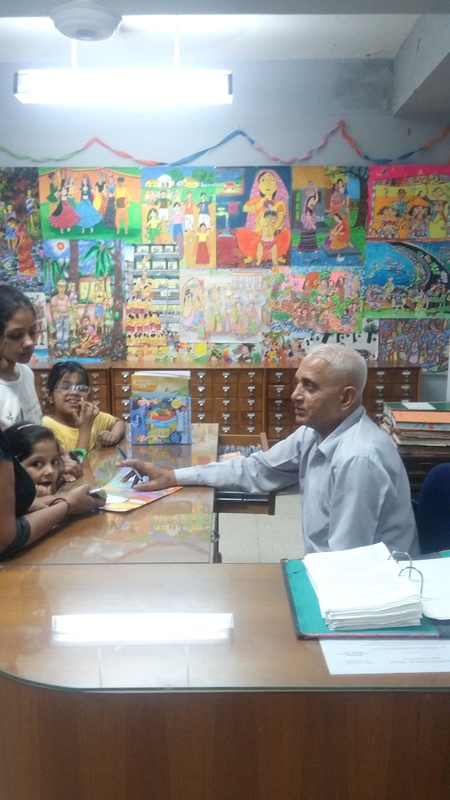 There was also the worldwide Shankar’s International Children’s Competition, of art and writing, which now gets more than a hundred and fifty thousand entries every year….. And the prizes, in those days, was given by dignitaries such as the Prime Minister or President of India.. Such was it’s magic! How can one ever thank that world’s greatest and most hard working magician, Sri Kesava Shankar Pillai! 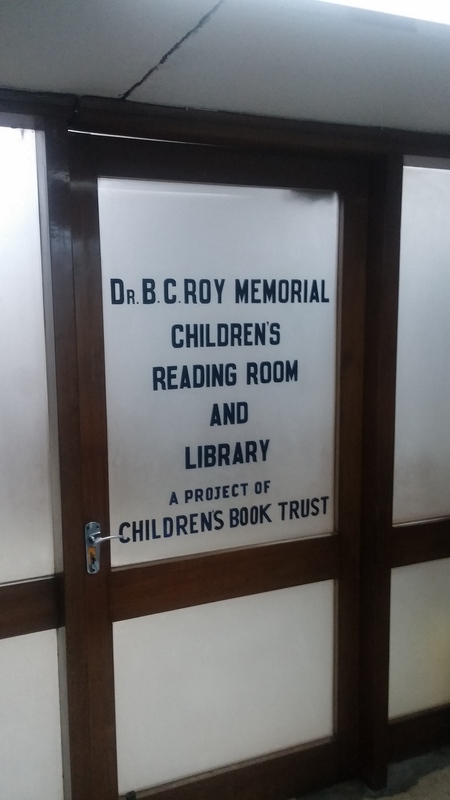 Coming back to my visit to the BC Roy library.. 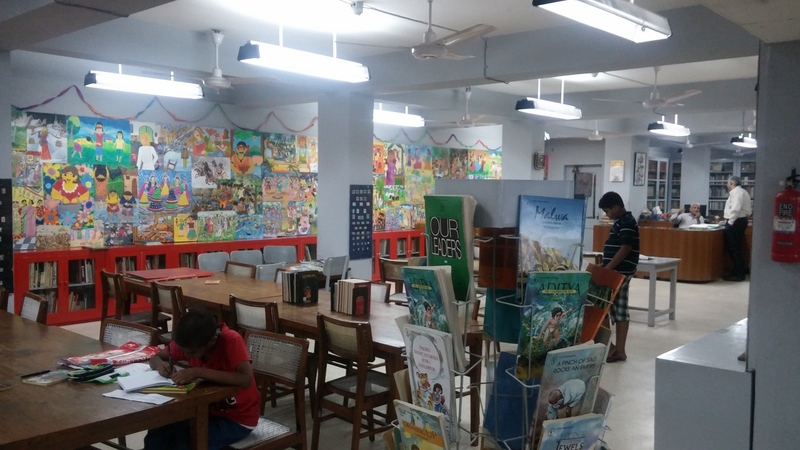 The rows of bookshelves are designed keeping children in mind. Books within easy reach of small kids. Rows narrow walkway in between…. Broad for kids… . I instinctively walked to the shelves which had Billy Bunter books…They were not there… I went to the catalog, just like I did forty years ago, found some Billy Bunter books and went looking for them…. They had all been borrowed. 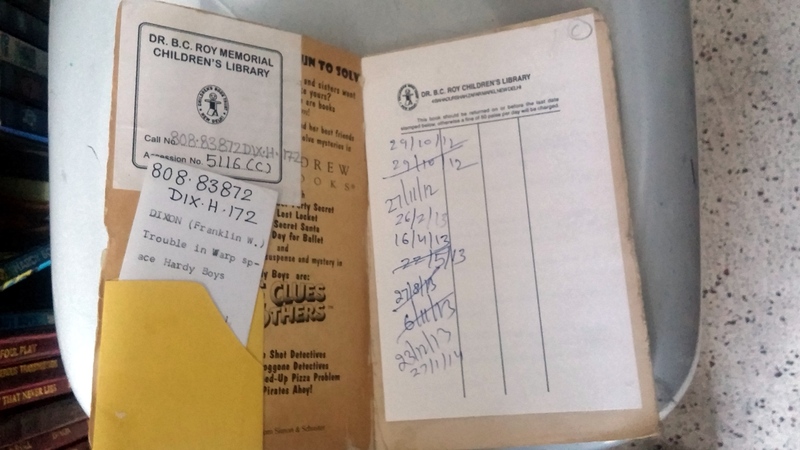 Found some Hardy Boys books.. .
My friend was chatting with the librarian.. Called me over… The librarian told me he was there since the early 70s, which meant that he was there when I had been coming. I said I remembered a Malayalee librarian. He said – Yes, that was the main librarian, and he and another lady assisted that gentleman… He had joined the library when he was in his early 20s… A lovely man. Serving the cause of children’s reading for over forty years. Surely some award should be given to him. Here he is… A Mr Rana, if I recall his name right. Reluctantly, taking leave of the library, I went down to the Children’s Book Trust shop… What a spread! . I found books that were presented to me by the great Mr Shankar, all those years ago. Still there. Still beckoning me with their magic. I bought some of those books, the very titles which I had savored when I was a kid. I bought them now, as a gift for my new born grandson, for him to read a few years from now…. . It cost less than 200 Rs for five books.. 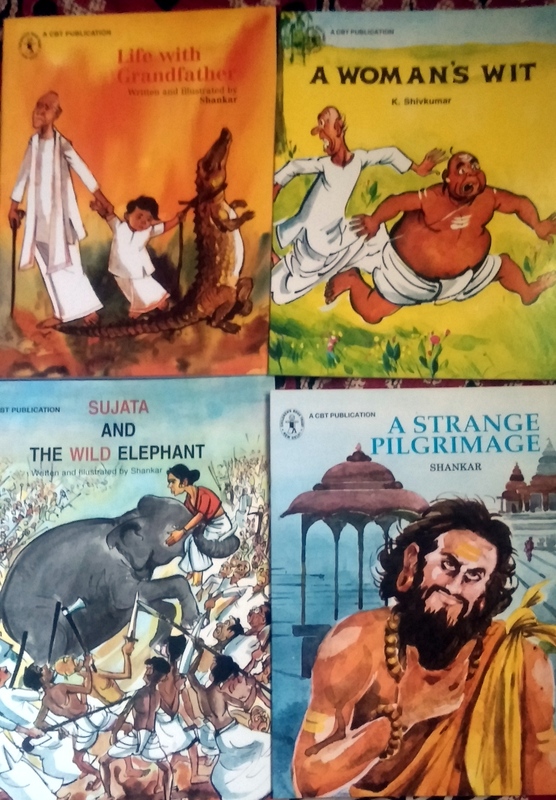 The four above, and one biography of Shankar, written by his daughter in law Alaka Shankar, all in good paper, beautifully illustrated (by Shankar himself), large fonts… I also found ‘Children’s World’ magazine, and bought one for Rs 20…. 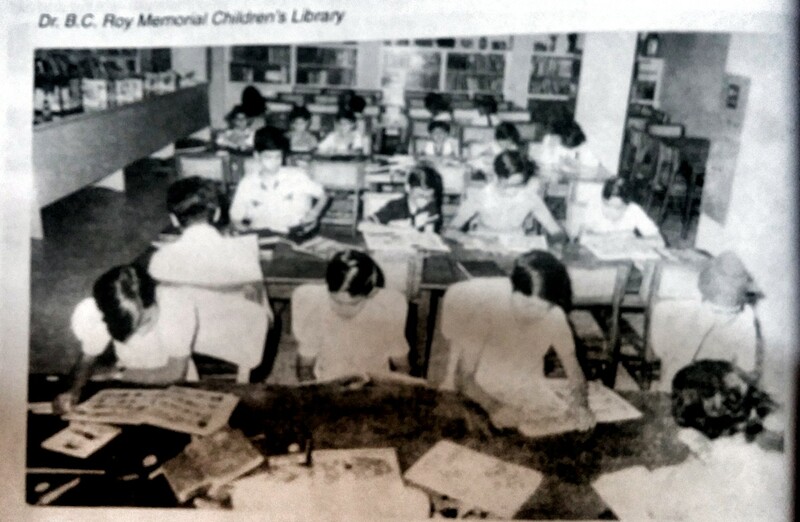 Browsing through the biography of Shankar, I found an old black and white photo of the BC Roy library…. I think I am there in it. .
That’s all for now. This is Inky, Hurree Jamshet Ram Singh, the Nabob of Bhanipur, signing off from the library of Greyfriars school! A statement like that of Pamuk surely invites you for more… And surfing around during moments of ‘creative pause’ in the workaday ‘fast-forward or perish’ mode of life, I came across some old Turk wisdom…. Wanna hear the sound of ‘ancestor words’? Meaning: I’m a chief and you’re a chief, who will milk the cow? OK… folks… Have a Thoughtful, Happy, Good Friday! Sunday, Sep 12th of 2010. New Delhi. Yamuna was in spate. After visiting the Nizamuddin bridge to see Yamuna flow in full glory, decided to visit Birla House, the place where Mahatma Gandhi was assassinated. 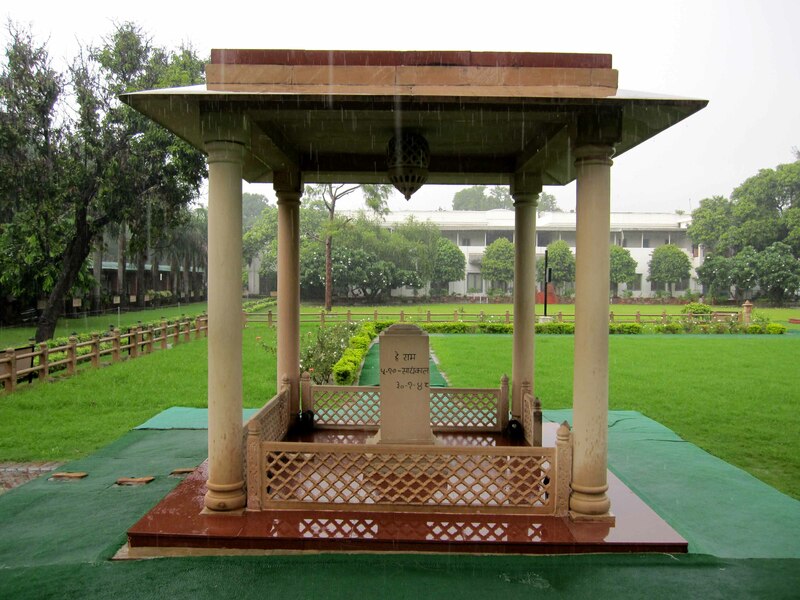 The place is now known as Gandhi Smrti (Gandhi Memorial). When we reached there, the skies opened up, and it started pouring. A big sedan drove in, and an elderly politician stepped out, accompanied by a band of men. “Kshatriya Shiromani zindabad zindabad” slogans were raised by his men, shattering the peace of the place. Leaving them to be, we started to explore the place. The first thing that captured my sight was the “World Peace Gong”, in the front garden. 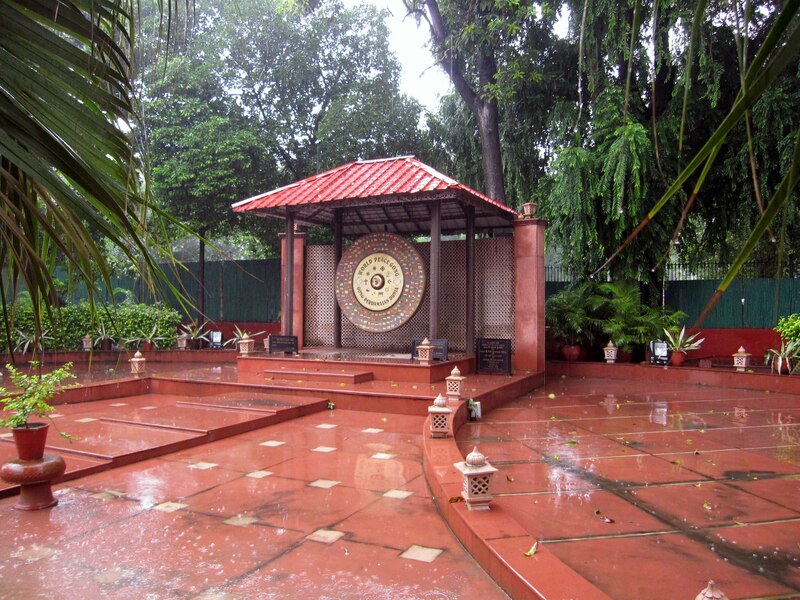 The gong, bearing the national flags of all UN Countries and symbols of the major religions of the world, was presented to Gandhi Smrti by Indonesia, and was installed here on Sep 11, 2006 (almost four years ago, to the date). 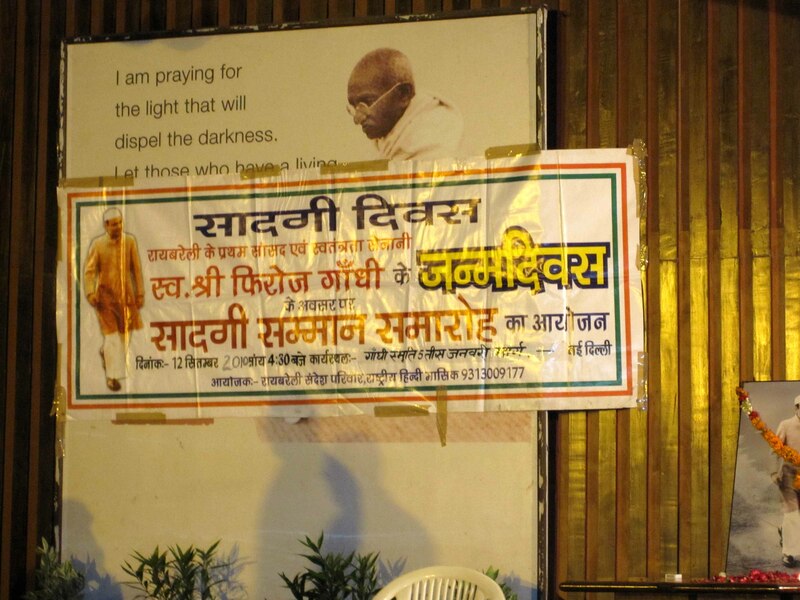 This was to mark 100 years of Satyagraha. Mahatma Gandhi had started his Satyagraha movement on Sep 11, 1906 in South Africa, to protest against a law that mandated all Asians to submit their finger prints and get formal registration with the powers that be. And in 2006, the South African Deputy Premier had come to inaugurate this “World Peace Gong” to honor the Mahatma. Going past the gong, one turned across the building to go behind, looking for ‘Balidan Sthal’, the place where the Mahatma was assassinated. 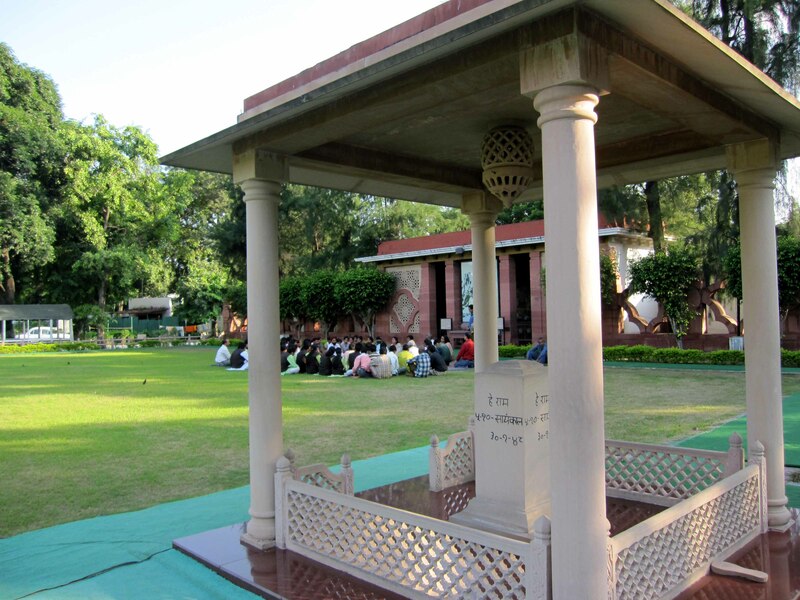 On the way, there was a shamiana set up on one part of the garden, where a function was about to commence. 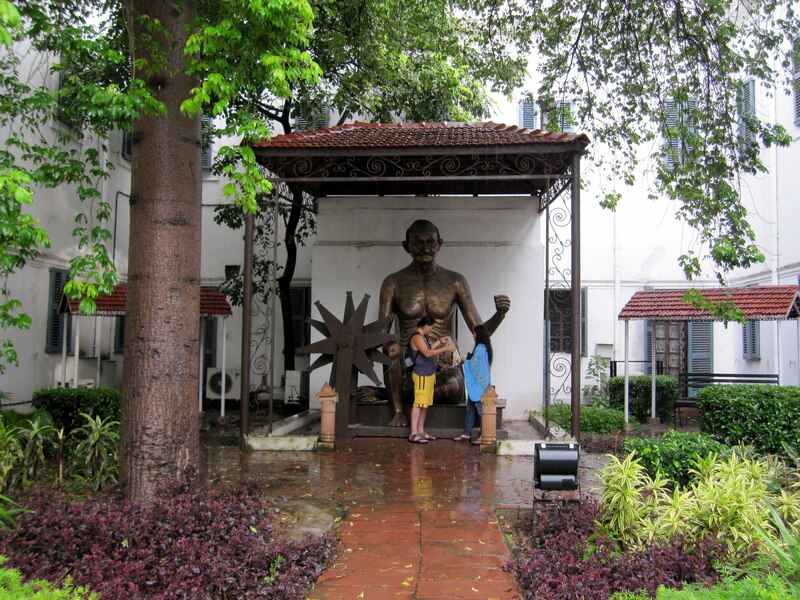 At the back of the building, we found a statue of the Mahatma spinning the charkha. 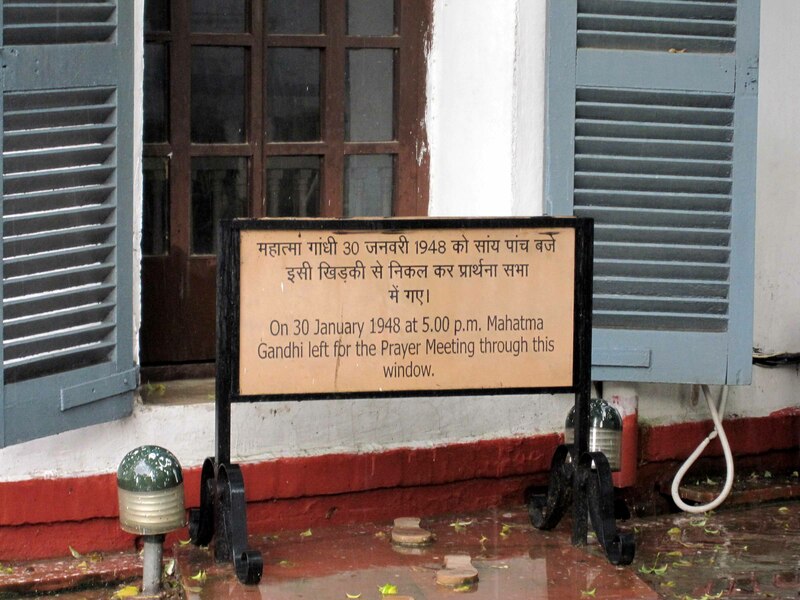 To the left of the tree seen in the picture, was the door-like window from where the Mahatma stepped out of, on 30-Jan-1948. He was walking to join the prayer meeting in the garden behind. 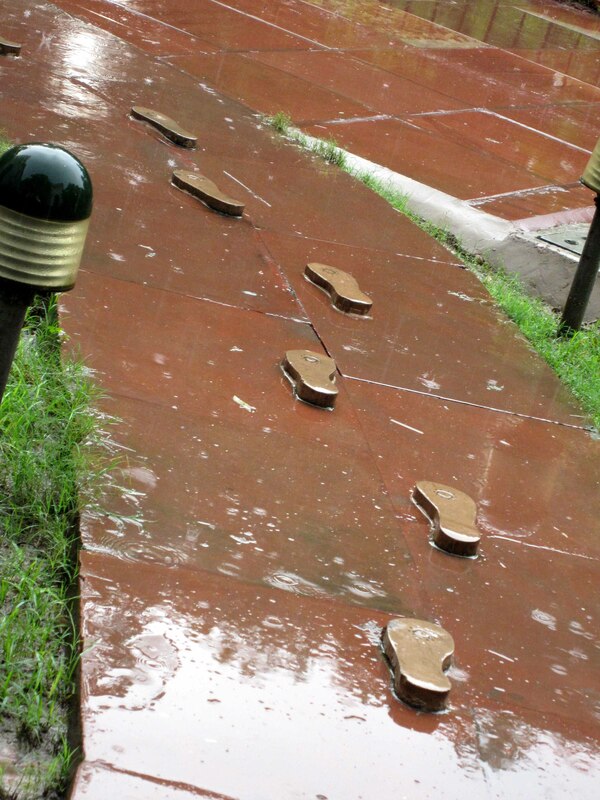 His walking route is marked…. And there, in the garden, an assassin shot him. A canopy has been erected to mark the place. 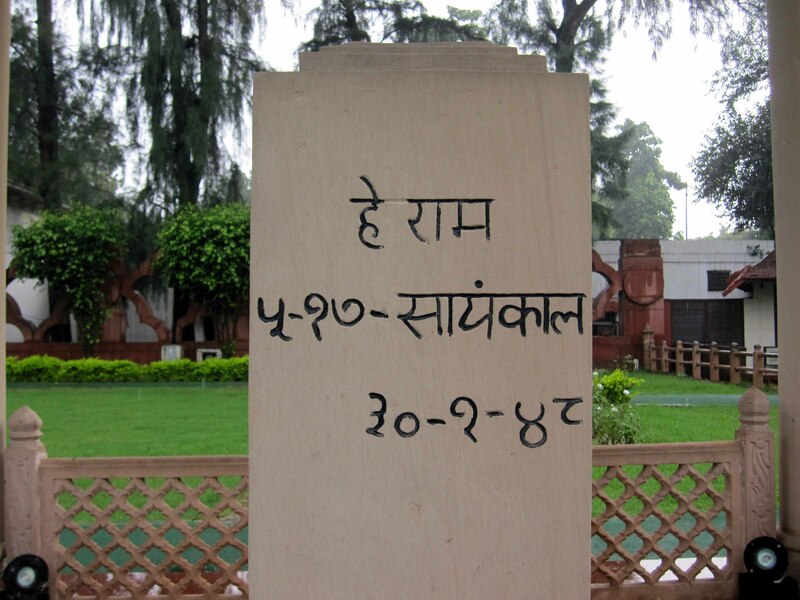 His last words, “Hey Ram!” engraved in the stone marker. Now, the attention was drawn to the function being held in one side of the garden. The one to which the politician had come. Here is what it was. They were celebrating the birthday of Feroze Gandhi. A picture of the stage. Stood for a while in the tent to escape the rain. Walking across to one of the security guards there, I asked him if this bhajan was a regular feature. “No”, he said. “A new Director has taken charge today. And she has called for this multi religion prayer gathering of all the staff”, he said. Signing off this post with a picture of the prayer-group, from across the canopy where the Mahatma took the name of Ram, one last time. Tharoor is one among the many great Indians who have found inspiration from the Mahatma. There is this other eloquent and educated person, who is considered the Guru of communications, and is a revered icon of the Advertisement field… He was on TV in a panel discussion about Mahatma Gandhi (Note: the Mahatma prefix is just to clarify which Gandhi we are speaking of). Was the loin cloth of the Mahatma merely a “communications device”? Not sure how many “liberal” westerners go around doing constant japa of the name of Rama. 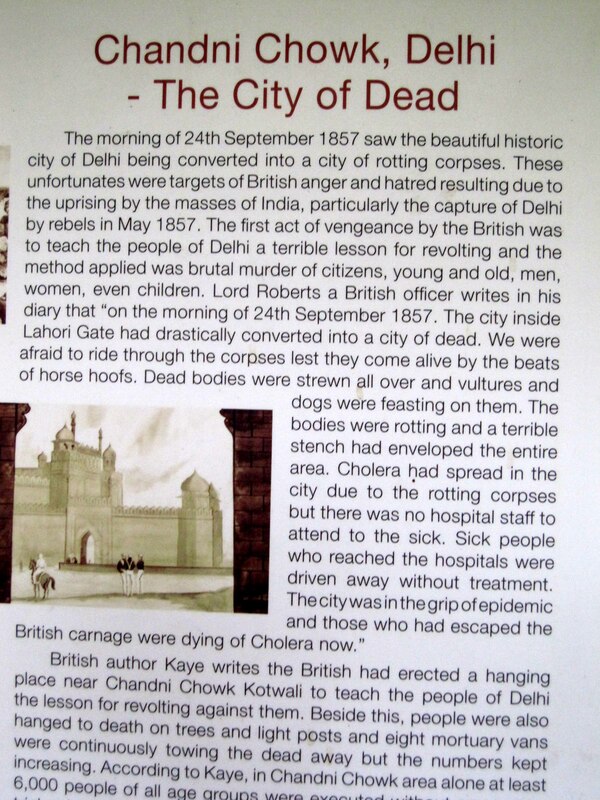 For one, the Mahatma would not have stayed in a five-star hotel. He would not have done that, for he was frugal with his spending. He would take the least expensive option, a post card rather than an inland letter, a third-class train ticket rather then an upper class one, a hut rather than a room (what to speak of a suite in a five-star hotel)… He would certainly not justify any excessive spend saying “it was my money that i spent”, and he would not insist on “gym and privacy”. But then they do very little of these things in Vietnam! I am cut-pasting below, an excerpt from a piece on “Corporate Governance” that I had written in 2005…. Good corporate governance is about setting strategies, structures and systems that ensure that there is a just and fair value system that reflect in the working of an enterprise. That people are accountable for the work. And that the work is auditable by non-partisan agencies. And this continuum starts at the top. Yatha Raaja, Tata Prajaa…The values in the top floor has to be seen also in the shop floor. Purity of intent has to be seen in all the acts of the enterprise. Many, many hundreds of years ago, Kautilya wrote the phenomenal treatise Artha Shastra. It is a remarkable manual on the practice of management, on the art of Governance. 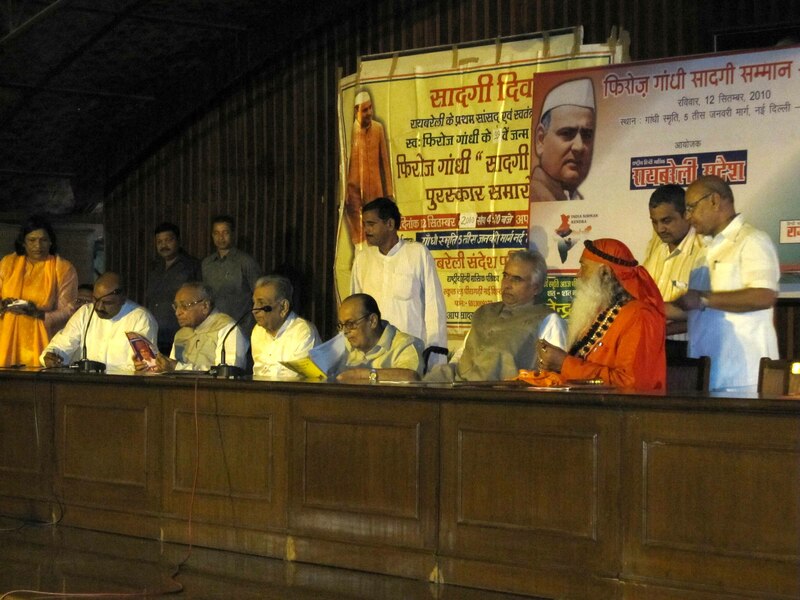 Kautilya identifies the two pillars of good governance as Dharma, Ethics and Nyaya, Justice. He begins with Self Governance. He advises the leader to introspect to identify his atma doshas, i.e. deficiencies to improve or develop himself. He further advises the leader to study deficiencies of his cabinet members and take corrective actions. He states that Mantris could be incompetent. Senapati, or COO, could be over ambitious. Purohit, or Chief Ethics Officer, may not consider the present day practices or traditions while enacting laws or justice, which might lead to injustice. Kautilya says that the a robust enterprise should have diverse economic interests. It should be active, efficient, and profitable. Efficient management means setting up of realistic targets and meeting targets without using over zealous means. Policies should be prudent and based on Dharma and Nyaya. Profitability should not only mean surplus over costs. It should also mean provision of investment for future growth. He advises that the leader should have a limited span of control, and warns against centralization of power, saying “one wheel does not move a chariot”. He says that the advisors of the leader should be people with practical experience, character, thinking prowess, sound judgement and the courage to express differences of opinion to the leader. All of which are recipes that seem as apt for this new millennium as well. A millennium where we are in very exciting times. A dangerous time as well. These are times where economic globalization is for real. And a time when at the heart of management is risk management, and the greatest of all risks is “reputation risk”. In the age of internet and worldwide media, bad news travels as fast as light. You lose trust of the stakeholders, you lose everything. A reputation that has taken decades and more to build, can be lost overnight, and we have seen multi billion dollar corporations reduced to bankruptcy – because of failed corporate governance. And how did such cases come to be? Some key people, somewhere, somehow forgot the fundamentals. Fundamentals such as the fact that business of company leadership is to manage the company, and not manage the stock price. That a leader thinks for the future, not for the quarter. That real balance sheet, real profits, real cash are important. That compromise of ethics would only hasten the end. And in this millennium, more than ever before, the enterprises are seized by the need for speed and urgency. This brings tremendous stress to the systems that they have inherited. Good corporations of before surely had tried and tested business processes. But now, the need is for proving to the world that your business processes are good. You must explain the tests that you carry out, demonstrate the internal controls that you have in place. You must have these certified by external agencies. And last but not least, the buck stops with the Board. When things go wrong, they go so wrong. “That is not an assembly which does not have elders (In our context, we may take this to mean “that is not a Board that does not have wise directors, including independent directors”). That is not the “Satyam” – Truth – which is crooked and devious (Needs no explanation)”. Sriharikota is just 80 kms from Chennai. And I was very tempted to go down there to see the blast off of the PSLV rocket carrying Chandrayaan, the moon voyager. But then it has been raining heavily in this part of the country. And I couldnt figure out if they would allow visitors anywhere within sighting distance of the launch site. And on a clouded day, one would perhaps see the rocket for a second or two before it whizzed out of sight. And the launch was scheduled for 6:20 am or so, pretty early in the morning… To cut a short story long, I didnt go, and decided to watch it on TV instead. There were no ‘nine-eight-seven-six-five-four-three-two-one-zero Blast Off’ kind of announcements that one was sort of expecting. The blast off was over, before one realized, double quick! But then, all said and done, it felt great. Chandrayaan was off! On its way to the moon! Mr Madhavan Nair, ISRO chairman, has said that they have a vision of having an Indian land on the moon in 2015. Now, isnt that something! A good friend sent me the link to a diary kept by some of the Chandrayaan scientists, carried by Outlook magazine. Here are a few excerpts from some pages of that diary, kept by K.B. Anantha Rama Sarma, Associate Project Director and Operational in-charge, Chandrayaan-1 Project. To see the whole diary, you can click here. Satellite was flagged off at 5-45AM at ISAC, Bangalore. By 3-45 PM, satellite entered the main gate of Sriharikota range and by 3-50 PM reached the first destination at the launch site, called SP-1B. It was a relief for the entire team who traveled along with the satellite; remember the satellite traveled at a speed of about 20 kmph for about 350 kms! From the arrival of the satellite it was a marathon for the entire team. Every activity to be executed on the satellite was already finalized to the minutest detail and the activity scheduling was already done few weeks back. Now the time has come for the execution of the plan. All teams were told in advance when they are required. From the time the satellite arrived all activities went on continuously, round the clock. The defined teams were ready as per their shift timings. Last six months we were knowing only calendar dates, but no days or holidays. This time we were told that Dasara festivals are in progress and Mahanavami is on October 9th. All of us joined together in celebrating the Dasara and praying for the success of Chandrayaan-1 PSLV C-11 mission. ISRO again proves that nothing is impossible. I always wonder what is the driving force behind us? Money? No. Power? No. Fame? No. It is self-motivation and dedication. I cannot wait anymore, AND I AM EAGERLY WAITING FOR THE launch of PSLV-C11. In these times of mindless violence, brazen corruption, total political opportunism, and general economic crisis, one hardly looks forward to reading the morning newspaper or watching the early mornin news on TV. But today was an exception. For it was the day we left all this, and reached for the moon. One feels great peace and a silent joy. What does one say when the house crumbles upon you? What institution do you trust, when you see the biggest and strongest of banks fold up like a pack of cards, and no one, no one, is unduly concerned about accepting guilt or about finding the guilty. Did you hear that? Happy festive season, they say… Incredible! (Picture Rome of old… and a message – “Dear citizens… Rome is safe… Happy fiddling – Yours sincerely, Nero). There is something rotten in the state of governance worldwide. And in one corner of a country on the other side of the earth from America, I squint to read an article that says “How safe is your bank? A must read”. And pundits had gone great lengths to decide strategies – how Biden has to be careful and not get women mad… The only way to win was not to win, or something to that effect… And Palin did herself no favors by that interview with CBS a week ago. She showed that she’s a good learner. A real trier. She could reel out names of countries and leaders, that she may not have known some weeks ago. She’s working at pronouncing the word “nuclear”. Overall, she survived the debate honorably. And she seemed glad at that. Happened to see Obama’s acceptance speech today. It was American Masaalaa at its best.